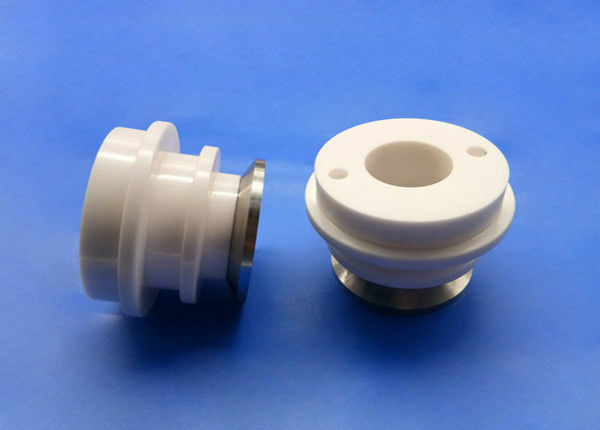 Zirconia ceramic linings as Wear Resistant Ceramic liner , widely used in mining industry,coal industry,steel industry,conveying system and so on .It can effectively protect industry equipment from abrasion damange,and reduce the maintenance cost and down-time,Chemshun standard alumina tiles including: ceramic plain plate ,alumina welded tile, taper tile liner,trapezoidal tile,curved tile ect., which are easily fixed and installed by end users . Uramic panels have been used successfully for decades in the Aggregate, Coal, Fly Ash, Glass, Grain, Gravel and other industries replacing plain or weldable ceramic tile in areas where tile breakage frequently occurs. Ceramic to metal bushings will be wraped in paper first individually, then packed in bubble bags, finally put in standard export carton packing, or OEM packing..